This is what makes trash pumps so useful. These pumps are designed with larger impeller veins and pump housings to allow for solids to pass through without causing clogs or damage. While their name might suggest otherwise, trash pumps are still used to pump water. However, they have the capability of processing heavy-duty or viscous materials, like the solids and debris mentioned above. When these kinds of debris enter the pump, they are not ground up. They pass all the way through the pump intact. Trash pumps are commonly utilized in construction and agricultural applications as well as in other applications involving large amounts of debris. 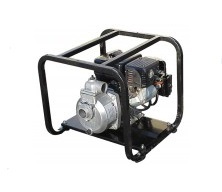 In addition to ordinary trash pumps, semi-trash pumps are also available. They are considered “semi-trash” due to their smaller openings and inability to handle the same amounts of trash as standard trash pumps. For this reason, semi-trash pumps are typically used to pump less debris-heavy substances, like sandy or slightly muddy water. However, because there is no objective industry standard that divides semi-trash pumps from trash pumps, semi-trash pumps are often labeled as trash pumps. Trash Pump Also known as sludge pumps, waste water pumps or sewage pumps, heavy-duty trash pumps are designed to handle mud, sand, trash, soft solids, and twigs. Normal water pumps are not meant to handle solid matter and can get clogged, stopped up, or even damaged if these solids are introduced into the system.